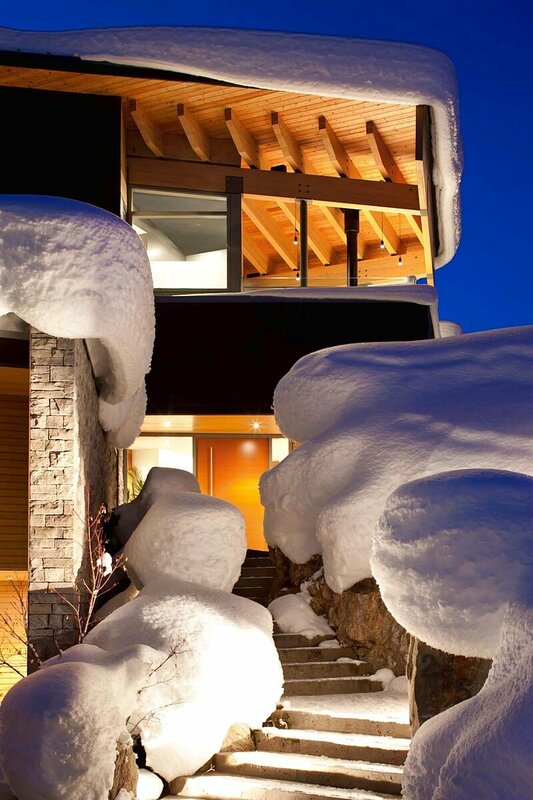 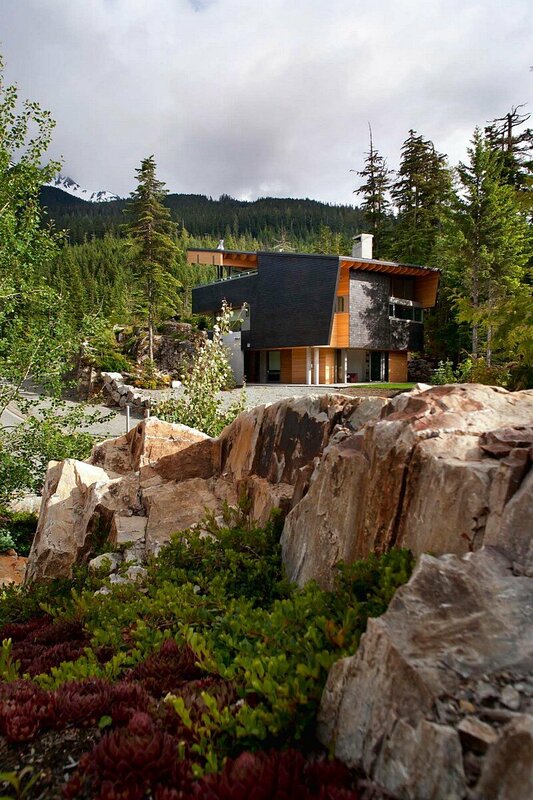 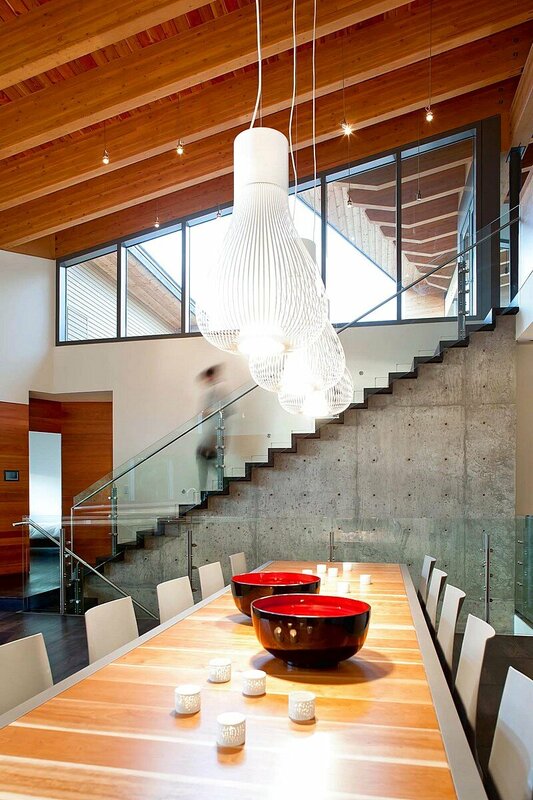 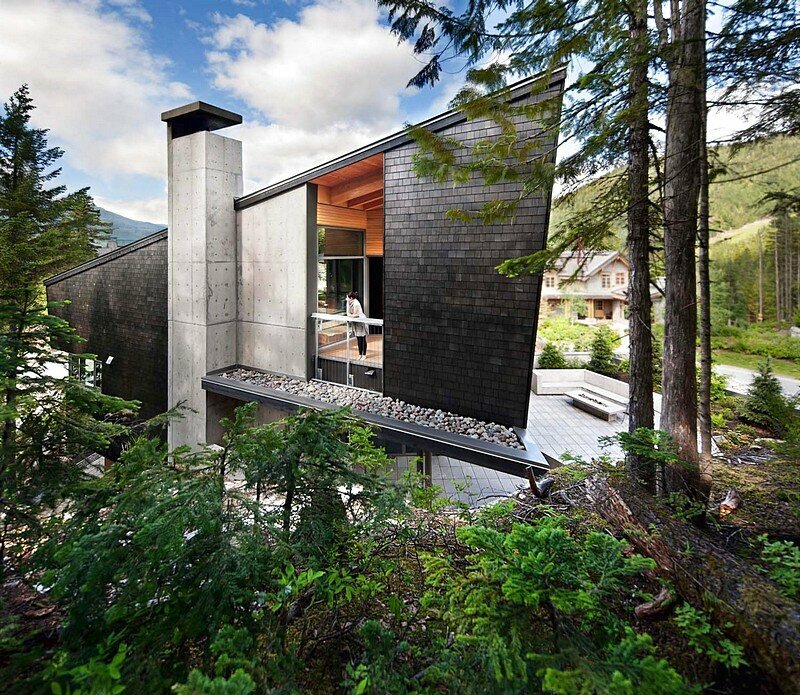 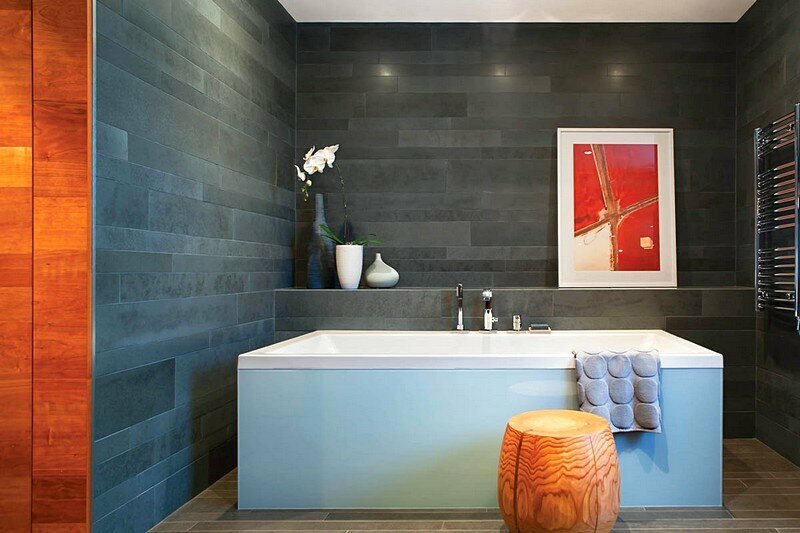 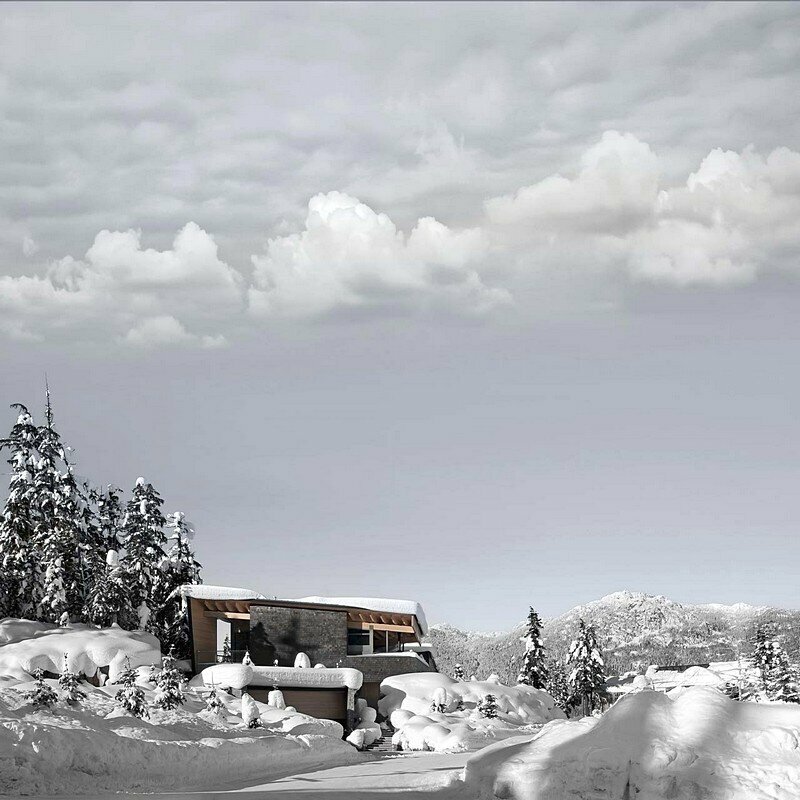 Whistler Residence is a family home designed by BattersbyHowat Architects for a family of seven. 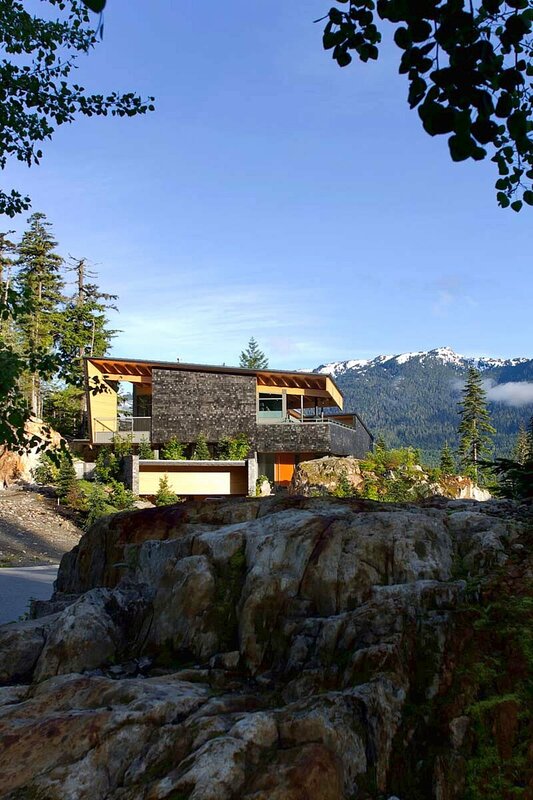 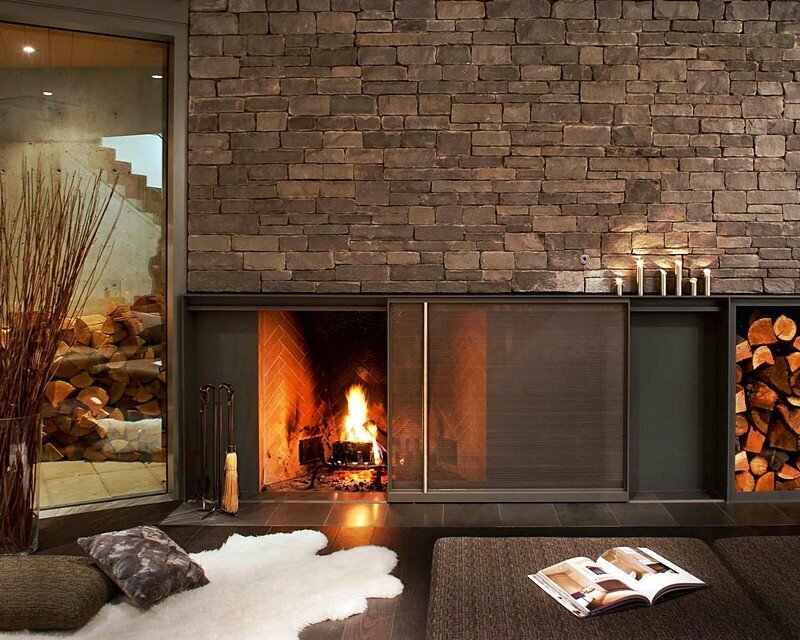 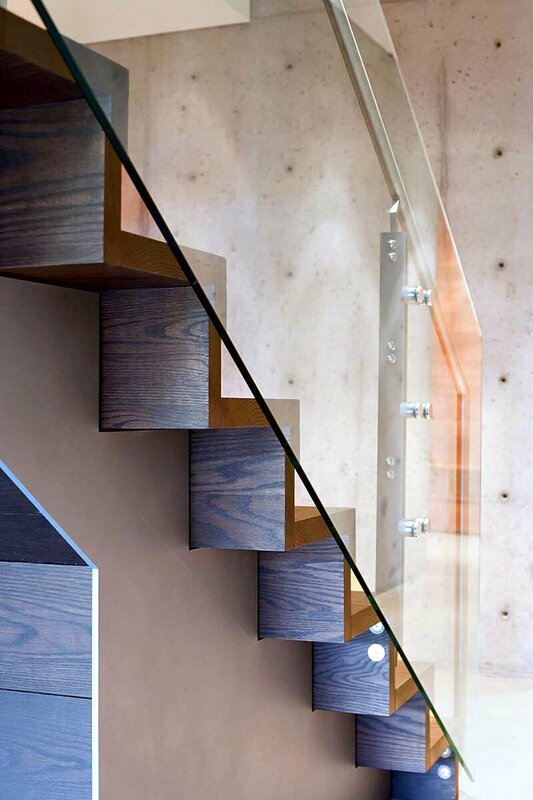 Located in a Whistler neighborhood halfway up the mountainside, this house was designed for clients who appreciate the timber structure characteristic of a Whistler Chalet, but desired a unique family home for seven that would capture this ambience without its typical organization and aesthetic. 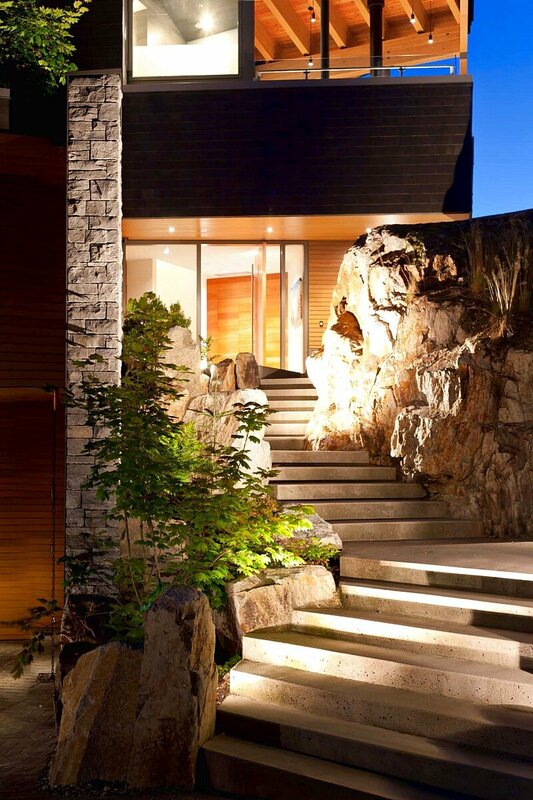 Situated in a prominent site, the visual mass of the structure was diminished by making a substantial portion of the house appear to be below grade through the strategic removal of bedrock, and by the extension of the living room terrace over the garage. 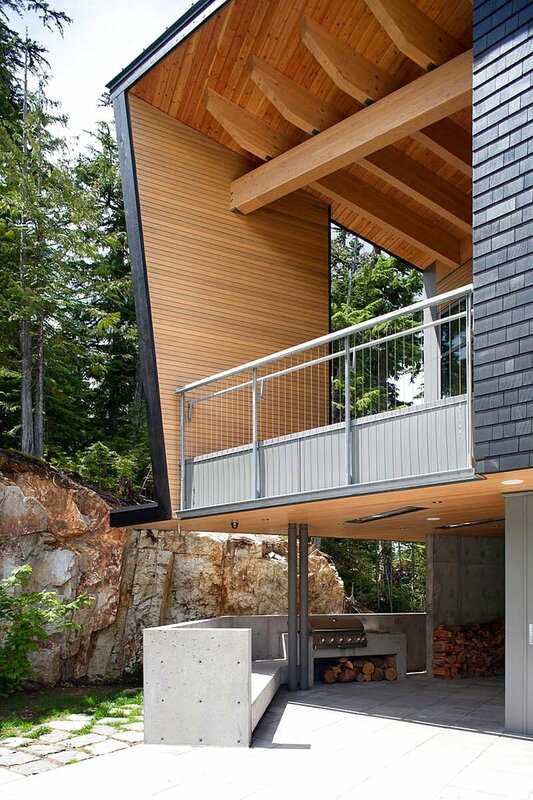 An upper courtyard deck area was also carved in to the massing to gather light centrally into the house. 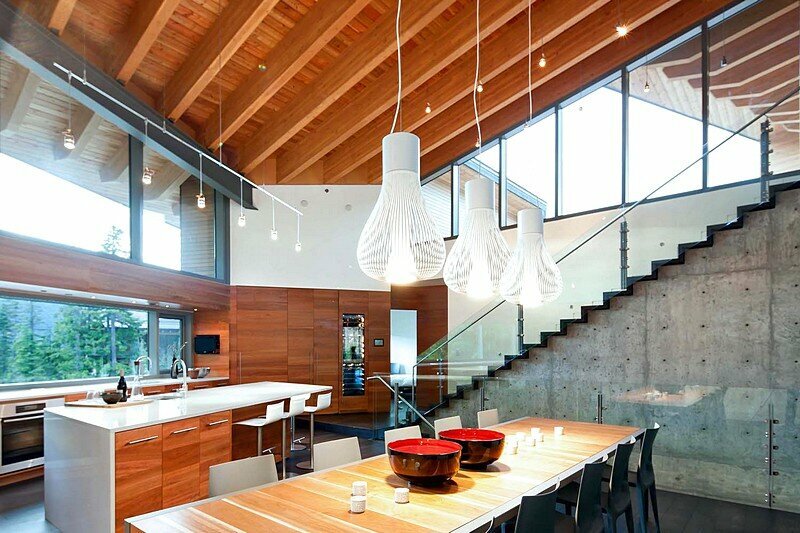 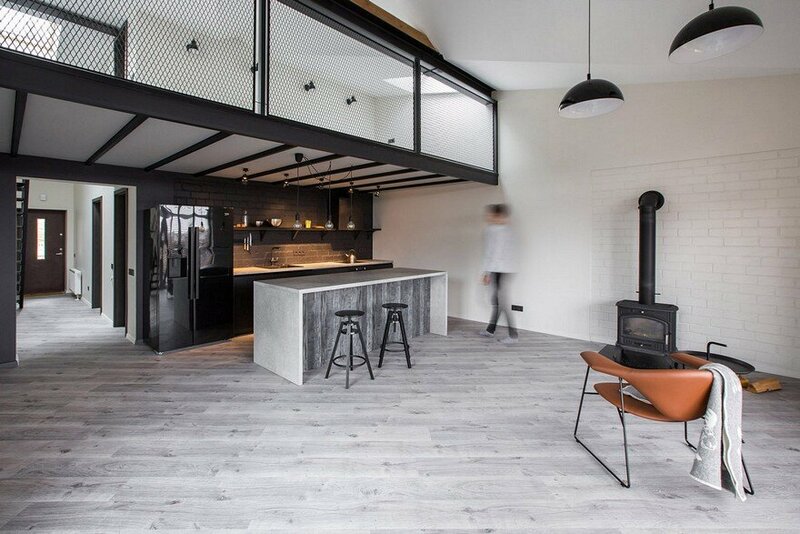 The result is a home that looks deceptively modest in relation to the neighboring properties. 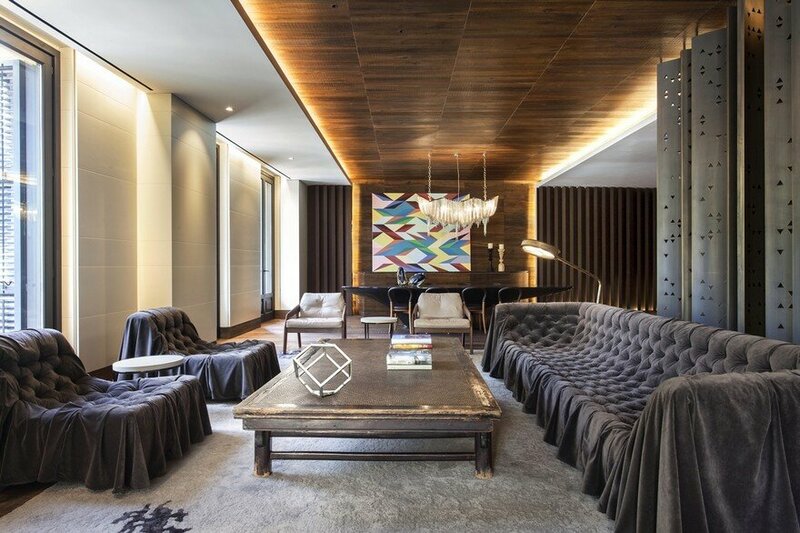 The careful allocation of program allows for retreat zones for both adults and children on the uppermost and lower floor levels respectively. 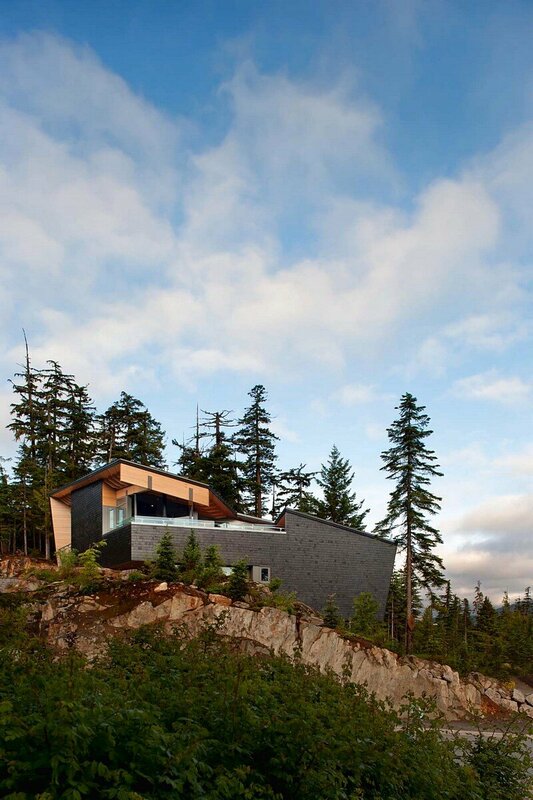 Privacy is also achieved through edited views from within the home that capture the many distant mountain peaks along with the immediacy of the rock and flora that embed the house in its site. 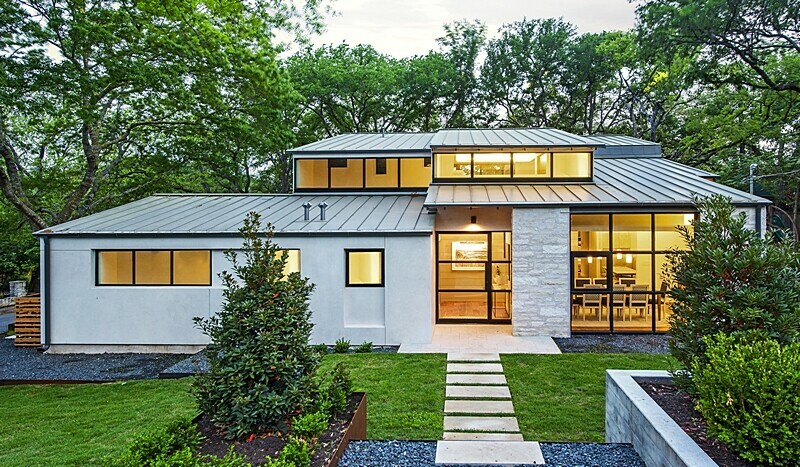 The lowest level, which connects directly to grade, has a maze-like disposition of private and communal spaces. 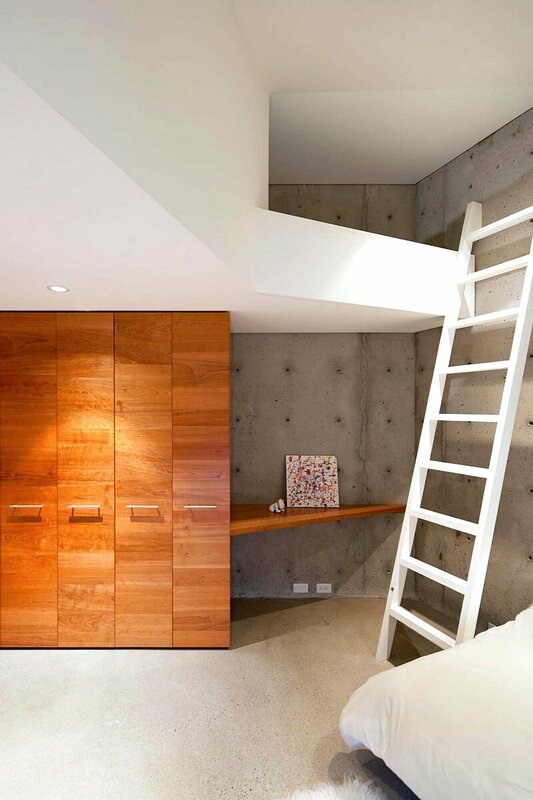 Exposed concrete walls bracket seamless wood lined alcoves that provide access to the sleeping quarters and service spaces located on this level. 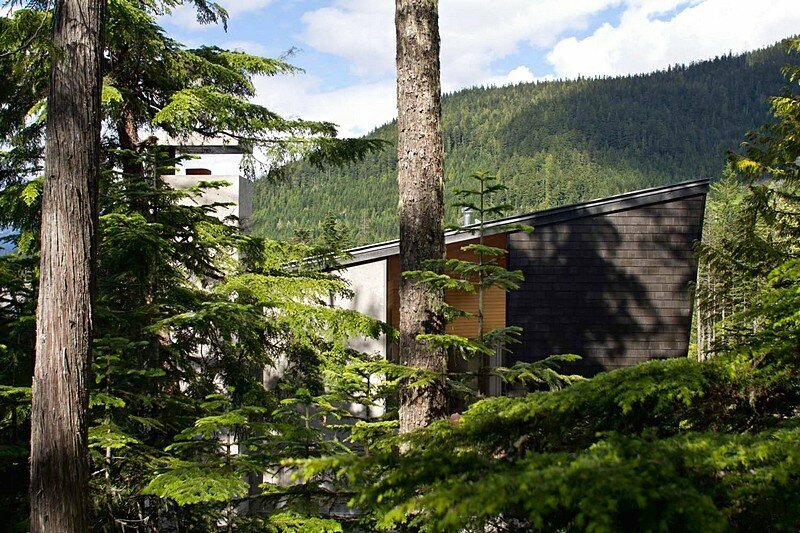 The main floor is a large open room animated by multiple natural light sources and varied views to the forest and mountains beyond. 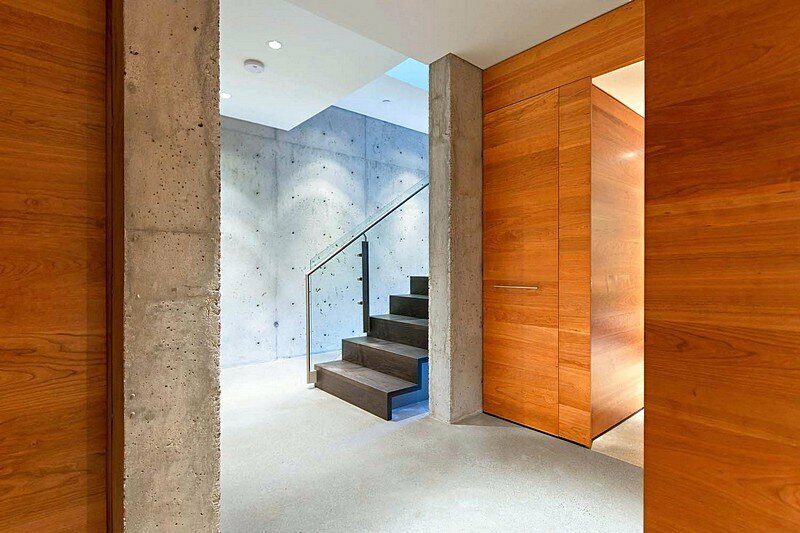 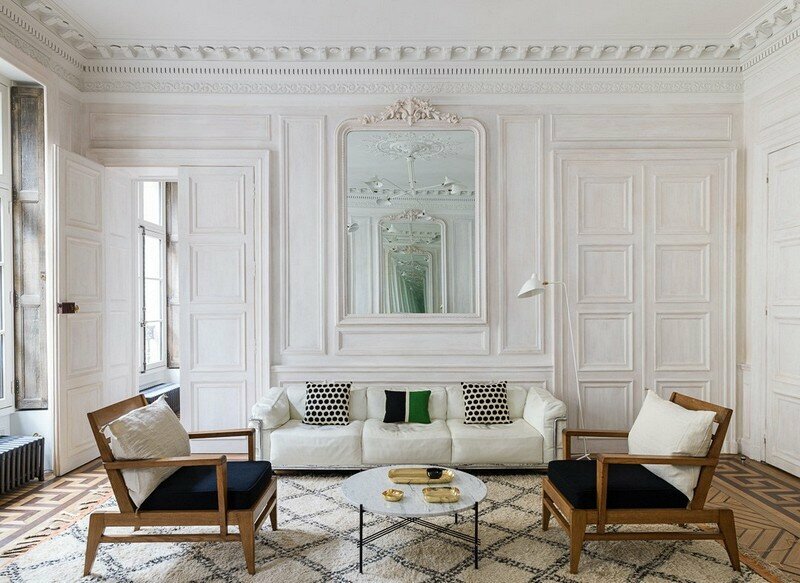 As on the first floor, walls extend past corners obscuring the space’s sense of containment. 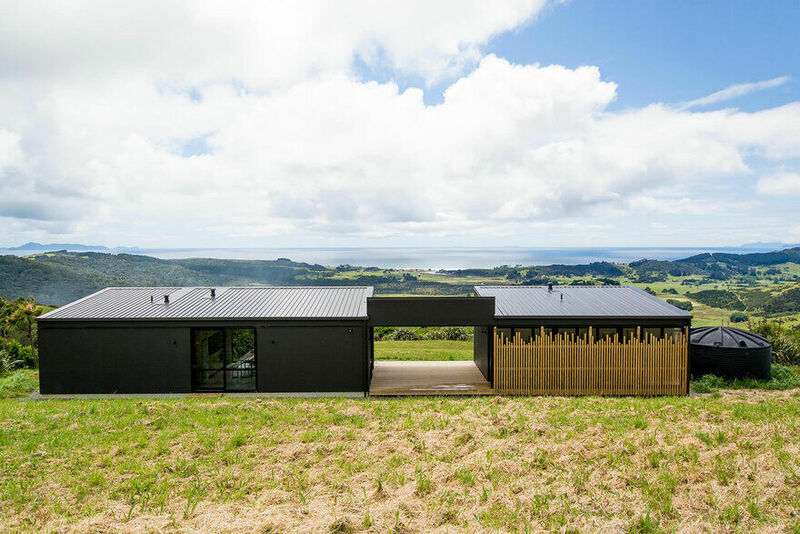 On the exterior, walls operate in a similar manner by extending the perceived limits of the interior and cropping views to control exposure and privacy. 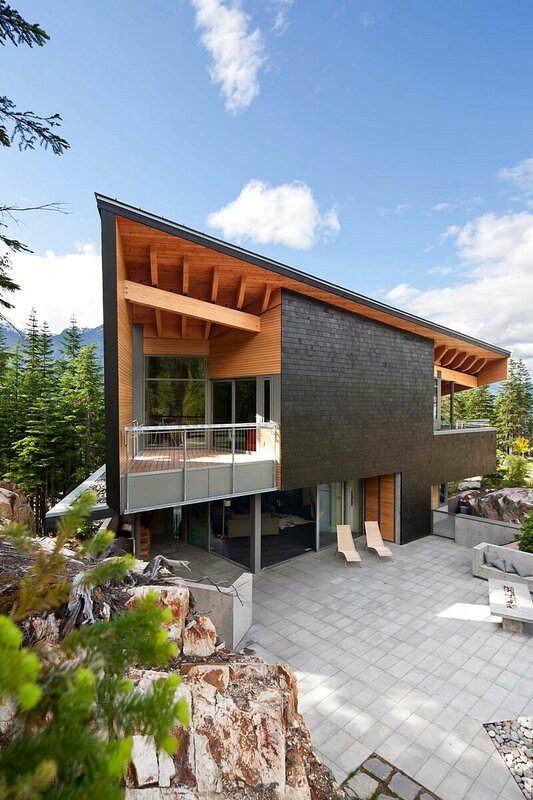 Standing seam metal roofing and black stained shingles clad the main form of the structure. 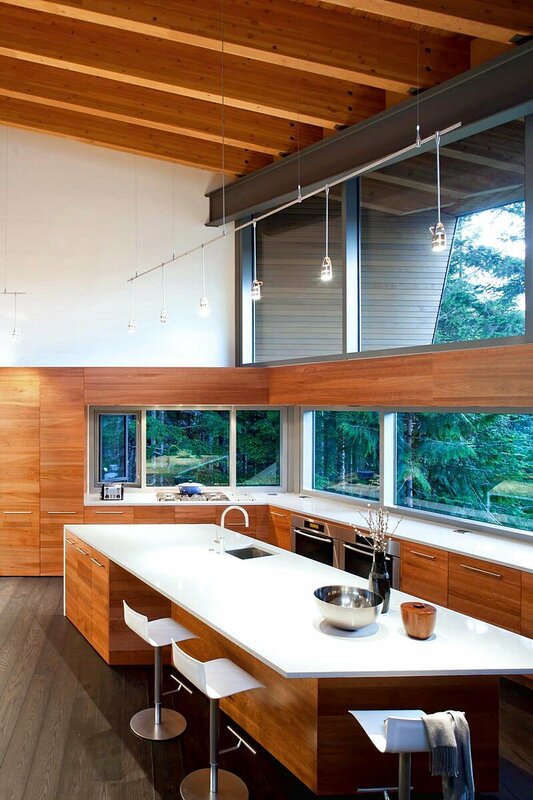 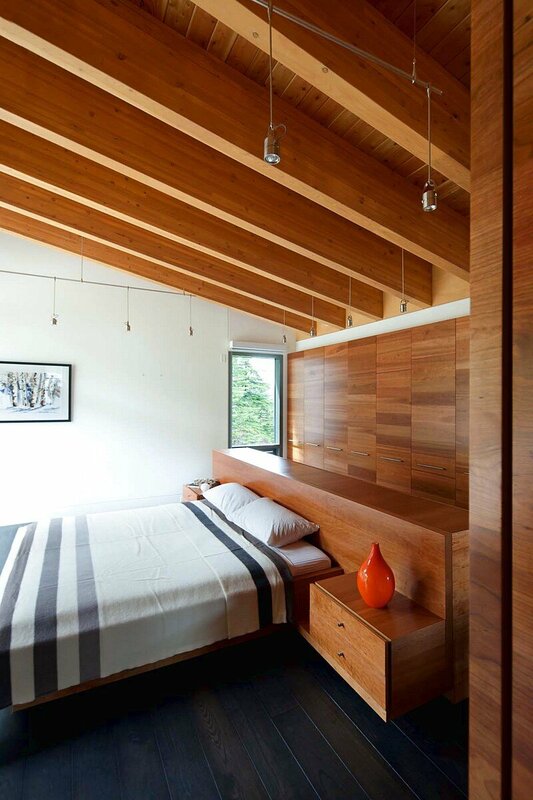 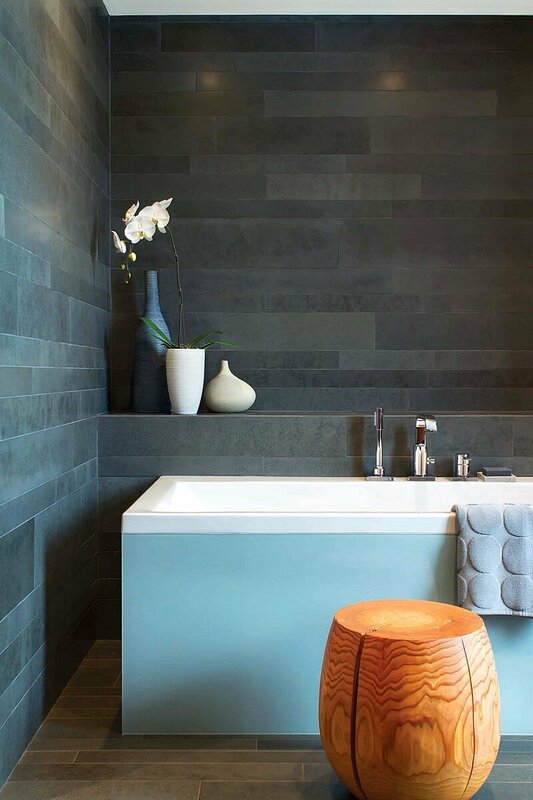 In contrast, recessed areas are lined with clear finished red cedar, douglas fir beams and large planes of glazing that bring warmth and light into the interior spaces. 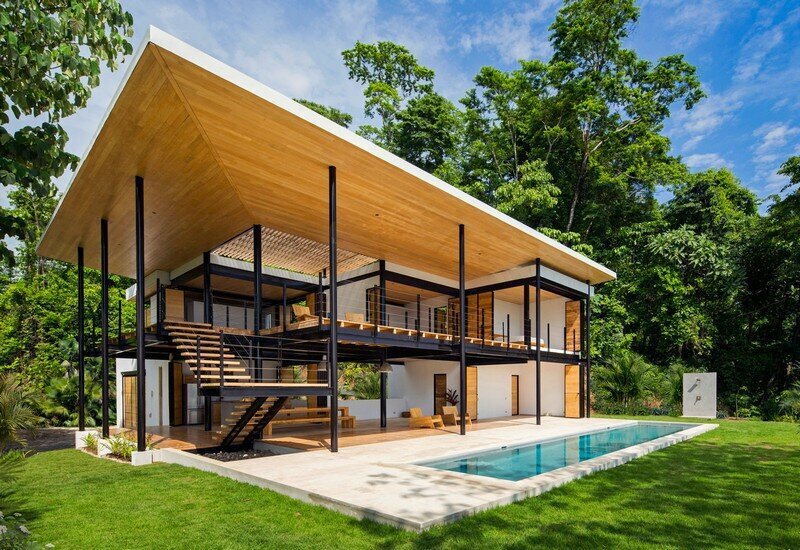 Envelope Consultant: JRS Engineering Ltd.